10 Facts about Easter that aren’t all about chocolate! Easter is one of the most important Christian holidays on the calendar, though Christianity doesn't figure too much in the celebrations these days, and it also has its roots in pagan celebrations of spring. However, for most kids, Easter simply means chocolate Easter eggs! 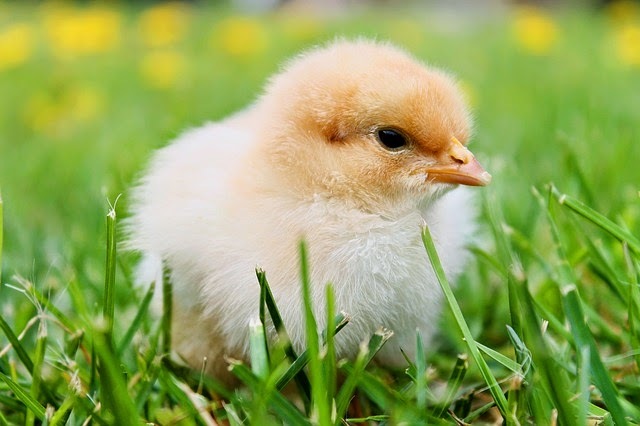 So, as you prepare for a spring bank holiday, here are ten fun facts about Easter. Most people know that the word, Christmas, comes from the two words, Christ, and mass, but did you know that we call the spring bank holiday Easter, after a pagan god? The word is a derived from an ancient god of fertility that the English called Ostara and the Celts called Eostre. That’s also where the word oestrogen is derived. 2. Why do we have the Easter Bunny? Rabbits are associated with Easter because of their reputation for prolific reproduction! Easter is a celebration of renewal and fertility, so it was only natural that the ancients associated rabbits with their fertility god, Eostre. The egg too, is prevalent during the Easter celebration, because of its links with fertility. The Egg has been used in this way all around the world, and eggs have been given as sacred offerings at this time of year for centuries. 4. What are the significant days of Easter in the Christian Calendar? Just so we don’t forget the Christian significance of Easter, Good Friday is the day that Christians commemorate the crucifixion of Jesus Christ and Easter Sunday is the day that Christians celebrate the resurrection of Jesus Christ. 5. What is Maundy Money? The tradition of the Queen, handing out Maundy Money on the day before Goof Friday, began back in the eighteenth century. Traditionally, it was a gesture of the king or queen giving money to the poor, in the same way the Jesus washed his disciple’s feet. Today, the Queen hands out a bag of real money and a bag of special Maundy money, to people who have performed Christian services. The modern meaning of the word Passion is just that, a modern meaning. Passion was a word used by Christians to describe the crucifixion of Jesus, long before it gained its current sexual connotations. The English word, Passion, is derived from the Latin word, passio, which means suffering. There had to be some Easter egg statistics in here, now didn't there. The tallest chocolate Easter egg made, was made in Italy in 2011. It was 10.39 meters tall and it weighed a whopping 7,200 kg. Americans consume around 90 million chocolate Easter bunnies and over 90 million chocolate eggs every Easter. They also eat enough jelly beans, used to fill the chocolate eggs, to go round the globe three times. 9. Which bit of the bunny do you eat first? I can’t believe that someone actually compiles some of these statistics! Well, someone went to the trouble of finding out how people eat their Easter chocolate bunnies, so I will tell you that, apparently, 76% of people bite off the ears first, 5% munch the feet and 4% nibble the tail. If your kids are sick this Easter from eating too much chocolate then you won’t be alone. 43% of kids say that they ruck into their chocolate Easter eggs, before Easter Sunday and one in five children admit to have made themselves ill by eating too many Easter eggs. Whatever Easter means to you, whether you will be going to church, stuffing yourself full of chocolate or, dancing naked around a fire in a fertility ritual! Have a great Easter holiday all!